Hey ya'll! 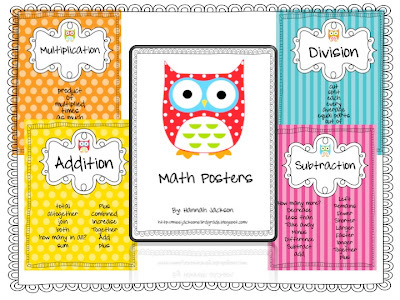 This morning I created some adorable owl themed math posters ifimaysaysomyself ! There are 4 posters included in the pack. Each poster includes commonly used words and phrases to help your kiddos solve word problems! You may check them out here at my Teachers Pay Teachers store! To Do List Linky Party! Student Displays Giveaway and an Award!